According to a national survey, there are approximately 77.5 million owned dogs and 93.6 million owned cats in the United States. That’s a lot of pets! And that’s just cats and dogs! Birds, reptiles, fish, and other small mammals are also widely kept as pets in America. patients. Pets give us unconditional love and tend to make people friendlier overall. Unfortunately, just like humans, pets get sick sometimes. Solutions Pharmacy is here to help! From specially compounded antibiotics flavored to your pet’s liking, to anti-anxiety medications for your dog’s fear of thunderstorms, we can customize medications to fit your pet’s needs. We offer a variety of pet-friendly flavors such as beef, chicken, fish, and liver and can compound different types of dosage forms for finicky pets. For example, we can make a trans-dermal cream that you just rub onto your cat’s ears if he or she refuses to take medications by mouth. We know how hard it can be when your pet gets sick. 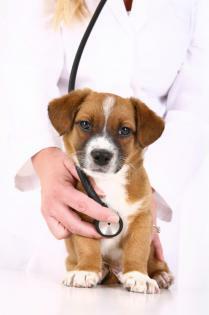 You can rely on us to solve your pet’s medication problems. Please call one of our knowledgeable pharmacists for any questions you may have on how compounding can help your pet!